Dr. Sawyer and his staff believe in a patient-centered philosophy. The needs of the patient are always put first. Dr. Sawyer will thoroughly explain his findings and make recommendations that are in your best interest. At Sawyer Endodontics, we are striving to make our office a comfortable and pleasant place. 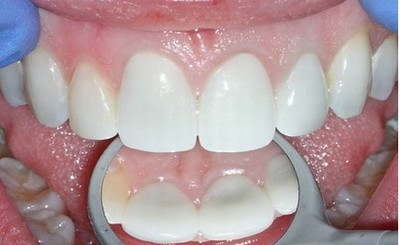 Treatment is performed using a high-resolution dental operating microscope. We utilize Cone Beam CT technology for accurate 3D visualization of anatomy and diagnosis. Our dental equipment uses a self-contained water supply and an in-house filtration system that delivers sterile water during all procedures. Your situation and treatment requirements will be thoroughly explained with digital radiographs, intraoral photographs, and any other aids necessary so that you will fully understand your needs prior to beginning treatment. All materials are broadcast on large, high-definition monitors to enhance your understanding of your dental condition. As our patient, you have the option to complete registration materials from the convenience of your own home using our secure website. 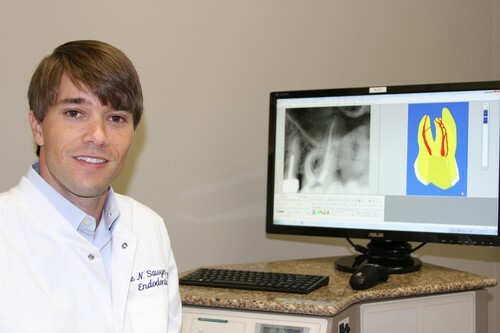 Dr. Sawyer is one of the first endodontists in the state of Louisiana to utilize Cone Beam CT technology in his office. Our Kodak 9000 3D scanner allows us to take high-quality three-dimensional images of your condition, thereby providing you with more targeted, more precise, and more effective treatment. Three-dimensional Cone Beam CT scans allow Dr. Sawyer to better detect, locate, and treat endodontic conditions, such as abscess formation, resorption, and complex anatomy. It utilizes 80% less radiation than a traditional x-ray, but yields far more usable information. Unlike a conventional dental x-ray, a Cone Beam CT scan can distinguish the differences among various tissues, such as bone, teeth, nerves, and soft tissue. The Cone Beam CT scan will help Dr. Sawyer give you the most accurate diagnosis, prognosis, and treatment recommendations. These scans often yield information that helps you avoid unnecessary treatment. 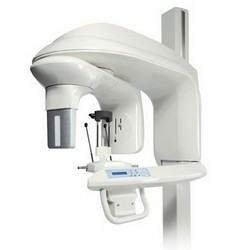 A Cone Beam CT scan is a cost-effective way of identifying a wide range of dental issues. The efficiency of a Cone Beam CT scan allows for less expensive and more efficient treatment. Dr. Sawyer will take high resolution digital photographs through the microscope during your consultation and treatment to help explain his findings, document his work, and communicate with your general dentist. These photographs allow you to better understand your dental needs and create a dialogue. Dr. Sawyer believes that your needs and your understanding of those needs are the foundation of a beneficial doctor-patient relationship. The high resolution photographs are also shared with your general dentist allowing for more accurate communication, increased efficiency, and a better outcome for you. With The Digital Office (TDO), we have eliminated paper from our office making it completely digital, more efficient, and more environmentally friendly. This state-of-the-art computer software allows you to complete registration materials from the convenience of your own home via our secure, fully encrypted website. It also allows Dr. Sawyer to communicate with you and your general dentist in a secure, efficient manner.